According to Statista in 2017, annual retail ecommerce sales worldwide reached $2.3 trillion, and are projected to double by 2021. Global retail ecommerce sales increased by roughly 25% year-over-year from 2017 to 2018. Ecommerce sales accounted for 12% of the total global retail sales for 2018, and are expected to increase to 17.5% in 2021. Essentially, ecommerce isn’t going away. If you’re thinking about launching an online business, there’s no better time to start than today. Companies with larger budgets than what you may currently have access to have paved a straightforward path for those just getting started. The question is: which ecommerce platform should you use to build your ecommerce website? The answer depends a lot on your specific product (or service) offerings and goals. Is WordPress the Right Ecommerce Platform for You? Though enterprise platforms provide a seamless experience for customers and ecommerce administrators alike, you don’t need a large budget to create a minimum viable ecommerce website. The multitude of options has made it possible for anyone to launch an online store — no developer necessary. Managed platforms can take out the guesswork involved with everything from web hosting, to listing new products, and incorporating a high-converting design. The trade off compared to a more DIY approach to building your ecommerce website? Some managed platforms exist in a closed ecosystem. Your growth (and creative freedom) is ultimately limited by the rules and customization options that exist as part of the platform you’re involved with. Many aspiring ecommerce entrepreneurs turn to the WordPress content management system (CMS) because its open source software makes it possible to completely tailor an ecommerce website to your exact needs. Perhaps because of this, WordPress is the most popular CMS — powering 30% of the internet. Although on its own, WordPress isn’t a managed SaaS ecommerce platform like BigCommerce (which takes care of many complex technical processes for you), the WordPress core code is easy to use and install. Depending on your choice for web hosting, the whole setup process takes just a few clicks! 2. WordPress provides a lot of freedom. Managed platforms like Shopify do allow some customization, but only up to a certain point. Also, because they manage every part of the process, you’re completely at their mercy if something breaks and they take their time fixing things. Having the power to make decisions about all of the moving parts involved in creating an ecommerce website enables you to do exactly what you want. 3. WordPress offers flexible customization options. On a related note, flexibility is one of the best features of WordPress. Thanks to thousands of pre-built WordPress themes, extensions, and plugins available, you can foreseeably create a website for any type of purpose: business, portfolio, or ecommerce (to name a few). Since WordPress is open source, if you notice a gap in the market, you’re free to create (or commission) your own solution! “We work with clients selling products on top of WordPress, so a key theme is the extending WordPress! 4. WordPress is available at a low cost (starting at free). Because WordPress is open source, and there are many free plugins available, overhead costs are as low as you need them to be. This makes it easy to just get started — and scale up as your business grows. But just like any other ecommerce platform, WordPress is not without drawbacks. 1. WordPress is not an ecommerce management system (out of the box). Ecommerce functionality does not ship with WordPress out of the box. Yes, you can add ecommerce functionality to WordPress through the use of plugins. That said, even the best ecommerce plugins don’t compare to the robust experience a dedicated ecommerce platform provides. 2. WordPress is a frequent target for hackers. WordPress was made for blogging — not ecommerce. Because it’s such a popular CMS, WordPress is a frequent target of hacking attacks. That said, there are various plugins, services, and best practices that users can follow to minimize WordPress security issues. 3. WordPress requires frequent updates. Managed, SaaS ecommerce platforms automatically update their platform regularly, without the need for you to take any additional actions. On the other hand, WordPress requires updates not just for the core software, but also for plugins and themes. These updates help to protect against hacking attacks while also (ideally but not always) improving compatibility across all active plugins and themes. Properly updating WordPress involves data backup and staging to test for compatibility issues, which can become time-consuming as you scale up your ecommerce website. Before making a final decision regarding an ecommerce platform or specific website design, you must first be clear on what you’re going to sell. This decision will ultimately help to guide your ideal technical implementation process. Are you selling physical or digital products? Physical products may require ordering inventory and designating storage space (unless you’re dropshipping for other businesses), while digital products (such as online courses) take time to develop, but delivery can be automated (with no inventory space required). What are you passionate about? Whether it’s something you already enjoy (e.g. you’re a yogi that wants to sell yoga equipment, or a cook that that wants to share their love for food), or a gap in the market that you see needs to be filled, being passionate about what you’re selling can make all the difference in pushing yourself through the hard times. If you can demonstrate expertise in your niche, that can also help with sales. What makes your products different from the others? Before you start selling, you have to think of a unique selling proposition (USP) to differentiate your products/market from others. Still looking for more inspiration to help you decide what to sell? 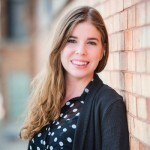 “I use WordPress to sell my services as a freelance blogger and writer. WordPress helps by making it easy for prospective clients to contact me directly and share what they need doing. It really is super simple. No unnecessary steps or confusing processes. 2. Set up your website. Choosing a domain name. In general, when it comes to picking domain names, one that ends in .com is advisable. If the name you’re eyeing is taken, try other variations. If you’ve exhausted all options, you can try .net, .org, or .biz extensions. Another best practice: make your domain name short, sweet, and easy to remember. Signing up for a web hosting service. The web host is where your WordPress website’s files are located. When you sign up for hosting, the service sometimes comes with free domain registration. Look for signs of reliability in terms of little downtime, great customer service, and a good reputation. Downloading/installing the WordPress CMS. In most cases, setup will be managed completely within your web host, without requiring you to take care of technical back end processes like creating the database. 3. Choose an ecommerce platform. Turning WordPress into an ecommerce platform involves the use of plugins to extend it’s core functionality. WooCommerce is the most popular WordPress ecommerce plugin, not just because it’s powerful or free to use, but also because of it’s close association with WordPress. WooThemes (the creators of the WooCommerce plugin) was acquired by Automattic (creators of WordPress.com) in 2015. Since this acquisition by Automattic, WooCommerce’s popularity increased, to the point that it now powers roughly 20% of all ecommerce websites online (sources vary on the exact number). WooCommerce allows you to sell both physical and digital products and integrates with most payment gateways. Flexible: There are thousands of WooCommerce-specific themes and extensions (both paid and free) available on the market. Scalable: Whether you’re selling 5 products or 5000, WooCommerce can work for you. Here to stay: WooCommerce has a large user base and a pool of contributors from all over the world that constantly work to make it better. On a related note, many of these contributors offer up their time without a promise of payment because of their love for the platform (a sentiment that also extends to assisting users who seek WordPress help). “WooCommerce needs a serious competitor in this space and WordPress ecommerce store owners right now are pretty much forced to use WooCommerce. Easy Digital Downloads offers simplified ecommerce functionality for those looking to monetize digital products. Like WooCommerce, Easy Digital Downloads is technically free — though you’ll need to purchase a paid plan to take advantage of extensions that make it a more useful ecommerce solution. Kinsta breaks down the major differences between WooCommerce and Easy Digital Downloads if you’re deliberating between the two. “When most think of WordPress ecommerce, they think of WooCommerce and Easy Digital Downloads. While there are some other solutions, I think there is room for more. However, I have a feeling it will be hard to break into this space and educate users to use both WordPress and BigCommerce. But time will tell. Still encouraged to see them giving it a go. BigCommerce is one of the largest managed ecommerce platforms in the world today. The platform offers web hosting, payment integration, customer support, and all the other tools you need to quickly launch an ecommerce store. Now, BigCommerce is crossing over to WordPress with the BigCommerce plugin. Prior to the launch of this new plugin, it was impossible to host your ecommerce store on both a managed platform and WordPress. 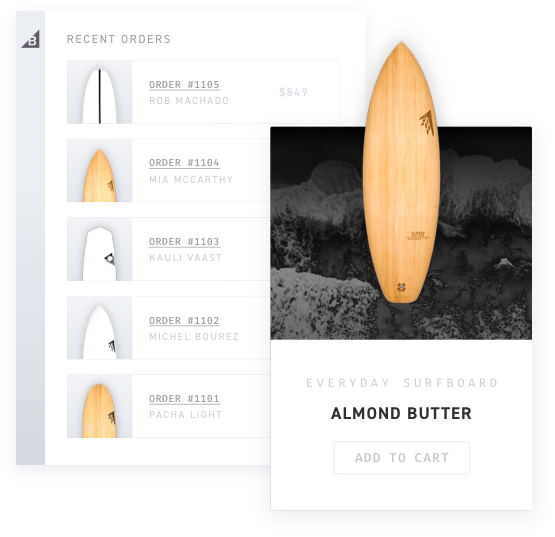 But no longer must you start on one platform and switch to another as your needs change: the BigCommerce plugin enables more powerful ecommerce functionality on a user-friendly CMS that the majority of website creators are already familiar with. 4. Set up your WordPress store. Once you’ve made a decision regarding the best WordPress plugin for your ecommerce needs, it’s time to bring everything together. The front end: Choosing your WordPress theme (design), creating content, and customizing your website in terms of the visuals shoppers are exposed to. The back end: Configuring store data including payments, shipping, tax rates, coupons and discounts — all technical details that visitors don’t see. Note that whatever you decide on now can absolutely be changed later on, as you grow and figure out what works best for your online store. That said, there are certain things, like your website’s technical architecture, that become more of a pain to change if not initially setup with a solid foundation. Also, though these initial website configuration steps can be overwhelming, don’t neglect to address basic information such as the store’s name, physical address (if relevant), and other contact information. 5. Pressure test your store. Before publically launching your store, you need to make sure that everything is working correctly. Part of this process will involve your own tests but it’s a good idea to also involve friends, family, and colleagues as beta user testers. The checkout process. Are orders coming through as they should? Does your payment gateway work properly? For WordPress sites using the BigCommerce plugin, this is handled by the platform. Responsiveness. Many of today’s online sales happen on devices instead of desktop computers. Does your website scale nicely for different screen resolutions? Google’s Mobile Friendly Test can point out any major issues. Site speed. Ecommerce customers are impatient and a slow website is a turnoff to them. Google’s PageSpeed Insights can point out any major issues. Grammar/spelling. Since you can’t physically meet with all visitors, your website should reflect your best possible first impression. Poor spelling and grammar can hurt trust (and ultimately, your ability to sell). Usability. In other words, does your navigation make sense? Do you have any broken links that might confuse visitors? To figure out where problems might occur, it helps to observe an unbiased third party as they try to make sense of your website. “No one wants to wait around for an online store to load. Once you feel good about your ecommerce website, it’s time to launch! To be sure, there are a million and one different ways to start spreading the word. Start by sharing your project on your own personal social networks and make sure that you’ve also locked down branded social media handles for your business. “WordPress gives you excellent tools to create an ecommerce site technically. My best tip is to understand that it goes so much more beyond that. Have your ideas well thought out and make sure you have done your research. Create awesome content and get a marketing plan in place. “Make sure that your product page is clean and clear. Your product data and descriptions should be complete. Things like product photos should be detailed and interactive. “Dig in and learn your ecommerce software, then supplement this information with basic information for search engine optimization. “Don’t just use WordPress with the standard ecommerce layouts that come with your theme, as that may not be the best way to sell your products. “Let the platform do what it does best. Don’t over-complicate things. Showcase your products in the most clear way possible and focus on letting the product shine, rather than making the design of the site itself shine in its place. “My best tip for ensuring WordPress ecommerce success is to optimize your category and product pages. “WordPress is one of the best platforms to produce content. Use that to its full advantage. Create content that brings people to your site. With the right content a percentage of your audience will convert into paying customers. As soon as you get that working, double down! Make *more* content and get *more* people to your site. “My one suggestion is never to stop testing new things. This includes optimization for performance (load times), improving abandoned cart rates, A/B testing landing and product pages, and changing up sales copy. All of this will have a direct impact on your revenue. While you’re putting together your promotional plan, consider these tips to grow your email list. BigCommerce is one of the largest ecommerce platforms in the world today. But will it work for you to achieve your WordPress ecommerce dreams? 1. BigCommerce + WordPress = the best of both worlds. With WordPress on the front end and BigCommerce in the backend, you can free up server resources from things like category management, processing payments, and managing logistics — all while maintaining your WordPress website design exactly as you want it. This solution is also referred to as “headless commerce”, and as a result of the processes at work behind it, your website will load more quickly. 2. BigCommerce offers a standalone solution for ecommerce. Unlike other plugins (like WooCommerce) that require extensions to activate additional functionality, you get access to both common and advanced ecommerce features by using the standalone BigCommerce plugin. 3. Using BigCommerce with WordPress creates a scalable ecommerce solution. Whether you’re starting out with a few products or are managing a large product catalog, BigCommerce works well in either situation. …When compared to other popular managed ecommerce platforms, with over 65 payment integrations. PCI-compliance is the information security standard for organizations that handle credit card payments — necessary for running a successful ecommerce website. 6. BigCommerce offers seamless account management. You can manage multiple WordPress sites from a single BigCommerce account. 7. The BigCommerce Plugin supports Google AMP and Gutenberg. There are many popular, longer-standing WordPress plugins that can’t make this same claim. Patrick Rauland, Ecommerce Educator at LinkedIn Learning. “I’m impressed BigCommerce supported Gutenberg immediately on release. A WordPress website with an installed and activated BigCommerce plugin. A BigCommerce store. If you don’t have one, the plugin can create a trial store for you. Configured settings for your store’s shipping, payments and tax. The BigCommerce plugin will analyze existing settings and will issue a warning if there are elements that need to be fixed. Optimized One-Page Checkout enabled in your store’s Checkout Settings. An active SSL certificate on your WordPress website (if you plan on using Embedded Checkout). This is also a requirement to rank in relevant Google search, as HTTPS (enabled by SSL) has become an official ranking factor. In general, the BigCommerce plugin works by creating a new post for each product, and that post serves as the product detail page. These products can be referenced by WordPress attributes that include SKU, brand, category, featured products, and recently added. Essentially, your WordPress site acts as a channel in BigCommerce, which means you can connect multiple WordPress ecommerce stores from one BigCommerce account. Each order that comes through can be filtered and sorted according to the channel, and you can specify which products are available on which channels from the BigCommerce products area on your dashboard. For those with existing BigCommerce shops, the plugin also creates a copy of your product catalog and stores them as custom post types in WordPress. The BigCommerce plugin creates account pages, as well as pages for your cart, checkout, profiles, gift certificates, account profiles, and order history (among others). Here’s what WordPress experts are saying about the BigCommerce WordPress plugin. “There are a lot of people out there running BigCommerce and the thought of migrating into WooCommerce can be daunting. The BigCommerce WordPress Plugin will be a great way for businesses to build interactive websites using everything that makes WordPress great while also bolting in their BigCommerce products. “Since WordPress powers over 30% of the web, it’s an excellent idea for other platforms to integrate with it. “I think it makes a lot of sense! With WordPress gaining so much market share over the past few years, it makes sense that BigCommerce wanted to integrate even more into the ecosystem. “Competition is great, and this should be very healthy for the WordPress ecommerce ecosystem! “I’m a fan of moving a lot of ecommerce functionality off the WordPress database and onto something that can handle it better. For more information about setup, refer to BigCommerce’s WordPress plugin support documentation. The BigCommerce WordPress plugin is still relatively new to market as of this publication, but new ecommerce brands are taking notice. Firewire Surfboards was established in 2006 by Bert Berger, with a talented group of former surf clothing industry executives. The group came together with one goal in mind: to put the future under surfers feet. Because these surfboards are made by surfing experts and enthusiasts, they’re designed to be lighter, faster, and more flexible. The company also operates with a focus on eco-friendliness, surfboards are crafted with sustainable materials. 11-time world surf champion Kelly Slater took notice and eventually bought a majority stake in the company in 2016, just a few months after opening Surf Ranch — one of the most sought-after surfing destinations in California. Surf Ranch uses Firewire boards. Because of this, Surf Ranch Global Marketing Manager Chris Grow thought of incorporating the two, which led his team to launch a content and commerce digital experience. They chose BigCommerce because it was an established name in ecommerce that produced an innovative and cost-effective solution for their needs. Carluccio’s is a restaurant chain that first opened in London in 1999 with the aim of offering authentic Italian cuisine at sensible prices. Since its founding, Carluccio’s opened 75 branches within the UK and Ireland, and 14 branches across Turkey and the Middle East. Carluccio’s website features the menu and restaurant locations where you can make reservations. They recently partnered with BigCommerce to add an online shop in an effort to amp up their online presence. They chose BigCommerce for its ability to integrate with WordPress. “Launching a website of this calibre without adding technical complexity or extra people into our team was a massive accomplishment that was only possible through BigCommerce”, he adds. As easy as it has become to build an ecommerce website, starting with the right foundation will make all the difference when it comes to eventually scaling up. Part of this has to do with things like design and website structure — the rest has to do with the right backend ecommerce platform powering your sales. Headless commerce offers exciting new possibilities that improve the user experience (both for visitors and website administrators), without sacrificing powerful ecommerce functionality – thanks to its fusion with a flexible CMS. What does the future hold for headless commerce? We’d love to hear your predictions in the comments!